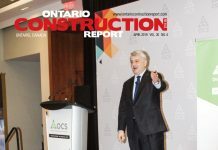 The annual Ontario Construction Secretariat (OCS) survey indicates bullish prospects for the province’s industrial, commercial and institutional sectors. 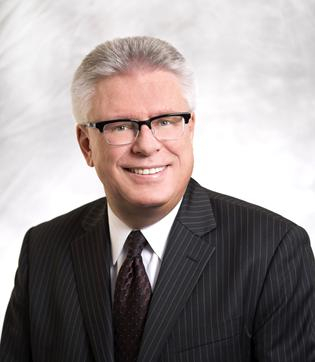 Strickland was speaking at the fourteenth annual OCS’s State of the Industry and Outlook conference 2014 on March 5 in Toronto. He referenced the OSC Construction Barometer, up four points to 64 this year based on the numbers of construction contractors expecting an increase in business from 2013. Data used in determining the barometer is collected from an Ipsos-Reid survey of 550 ICI contractors. The survey found 40 per cent of contractors expect more business this year and only 11 per cent expect a decline. 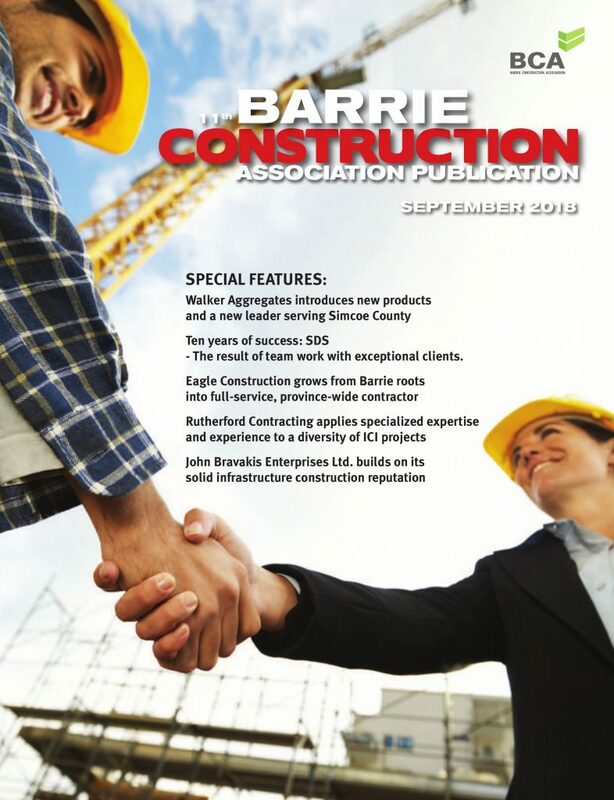 The release says the greatest shift in perception came out of eastern Ontario where contractors are looking forward to an increase in commercial, engineering and highrise residential projects. operations with the OCS. Carl Gomez, chief economist at Bentall-Kennedy, shared his views on the current commercial market and a speaker from Metrolinxdiscussed the implementation of the “Big Move Strategy” and its implications on future commercial development in the GTA. 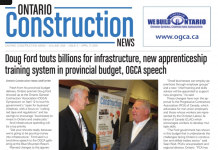 The Ontario Construction Secretariat is a joint labour/management organization representing 25 unionized construction trades and their contractor partners in Ontario’s ICI sector.